Driveway Gate Giving You Problems? Don't look far. The best repair specialists around are near you! Book an appointment today. Driveway gates are what our team is trained to do, and has been doing for the past decade. It's important that you only let professionals handle the situation when problems arise, to ensure that the appropriate solutions are applied and that the issues aren't exacerbated. When a gate system malfunctions, the problem is sometimes obvious (like a breakage in the opener attachment), but sometimes it’s invisible to the untrained eye (like an electrical issue inside the opener or the intercom system). Proper troubleshooting involves going over the entire system piece by piece, from the control systems to the panels or bars, and testing each individually, ruling out potential causes until the main fault is discovered. 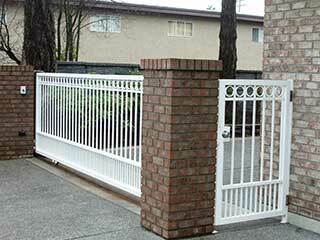 In addition to providing carpentry, welding, and electrical repairs, Gate Repair Long Beach can also install new components to replace anything worn or obsolete. With parts available from Elite, Doorking, All-O-Mattic, and a long list of other trusted manufacturers, your driveway gate can get exactly the components it needs at rock bottom prices. An automatic gate isn’t much good if you can’t control remotely or communicate with the persons on the other side without physically being nearby. Intercoms, remote controls, sensors, and other subsystems all fall within our purview, with installation and repair services available for all of them. If your intercom isn’t working, or if you want a new wireless system installed, our team can work with anything from old fashioned wired connections to modern smartphone-uplinked networks that connect multiple systems. If you’ve come by a new piece of property, or are refurbishing one with a new driveway, fence, or entry system, Gate Repair Long Beach is proud to offer custom made gate construction services. Our specialists are happy to advise you on the best combination of materials and components to create a system that falls within your price range and meets your specific needs and preferences. 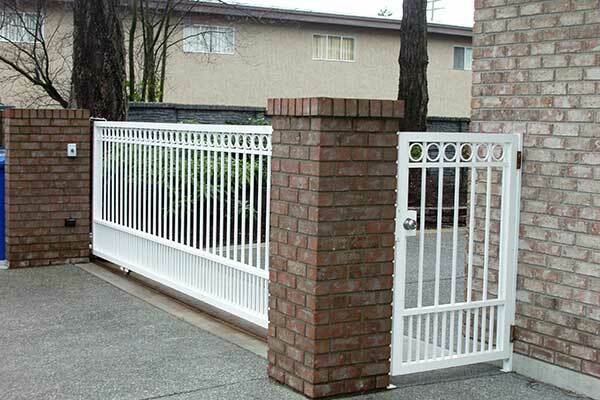 Options include sliding and swinging gates, made of wrought iron, steel, wood, and other materials, as well as a variety of brand name openers and other features. Don't just take our word for it. If you have any driveway gate-related needs anywhere near Long Beach, the best technicians in town are just a phone call or a mouse click away. Get in touch with us today, and let us know how our team can help.